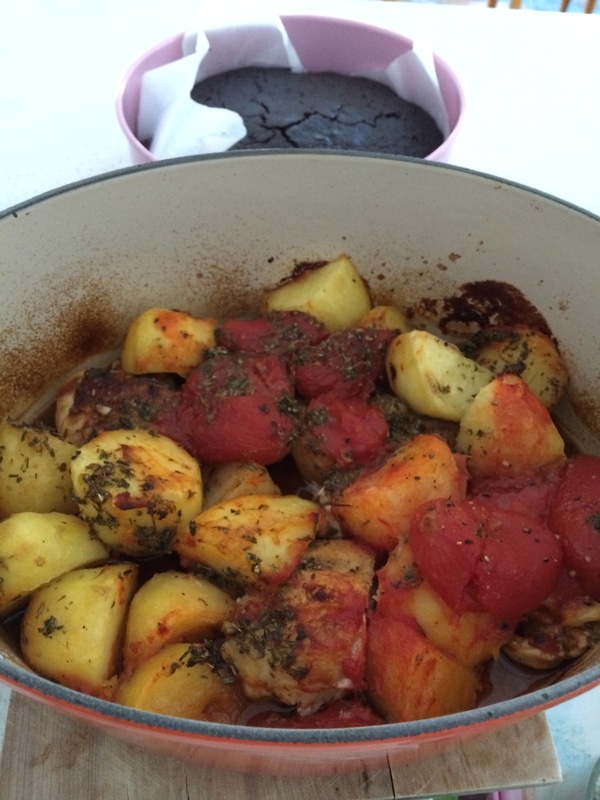 Chelsea Winter’s italian chicken bake is Father’s Day requested dinner. Herb vinaigrette made in Thermomix in seconds, steam potatoes in Varoma 25 mins, Varoma temp, speed 2 with a litre of water in bowl. Chicken is browned off in the sunbeam contact health grill this time. The smell of the rosemary chicken is amazing and the leftovers taste even better the next day. In keeping with the Italian theme, Chelsea’s Italian chocolate cake in background. ( search earlier post for conversion) .